Nestled inside this beautiful yellow boutique box are three charming solid Chocolate Garden Bunnies. 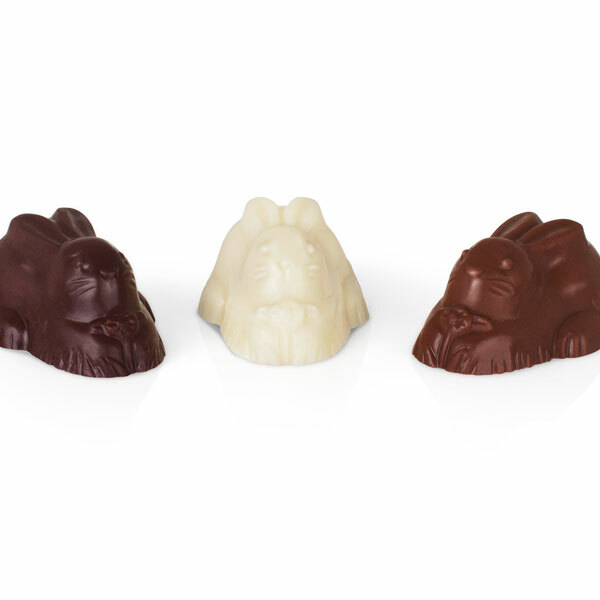 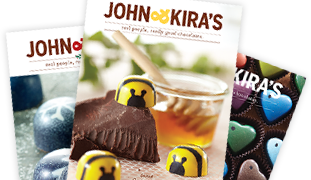 One 62% Valrhona dark chocolate, one Valrhona white chocolate, and one Valrhona 40% milk chocolate bunny. 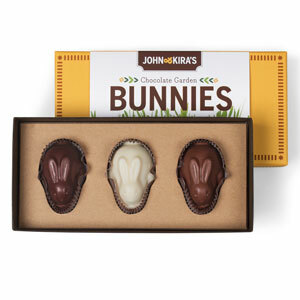 Cute enough for a young child while good enough for a chocolate connoisseur.